Everything that you love about R1 Protein in a naturally flavored and stevia-sweetened package. 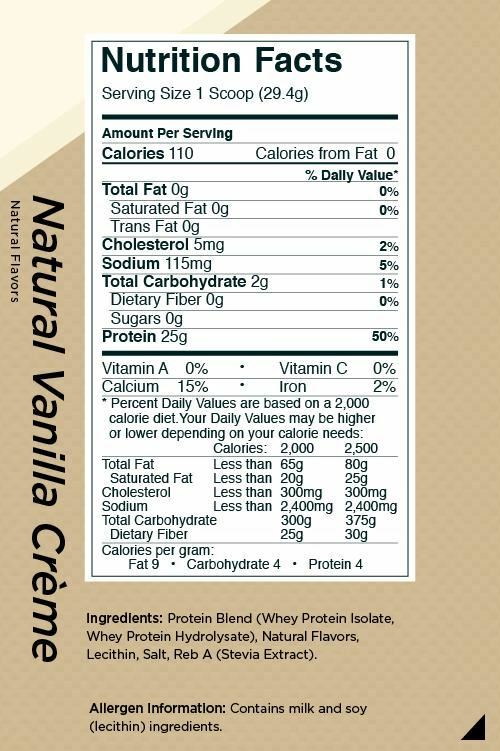 Naturally Flavored R1 Protein is made with the same 100% Whey isolate/hydrolysate combo, does not contain any whey concentrates, gums, creamers, or amino spiking, and maintains an amazingly high Protein Purity Percentage. When considering premium protein options, this one is a natural. 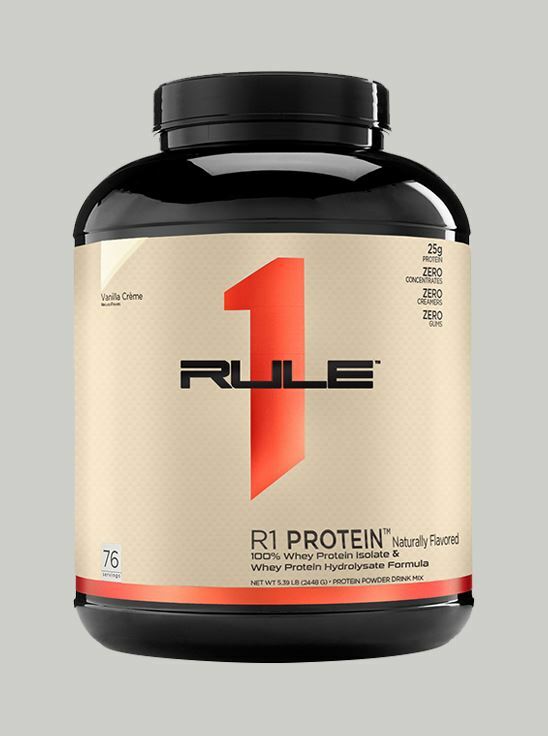 Add one (1) Scoop of Natural R1 Protein Powder to one (1) cup 8oz) of cold water. Stir or blend until smooth. 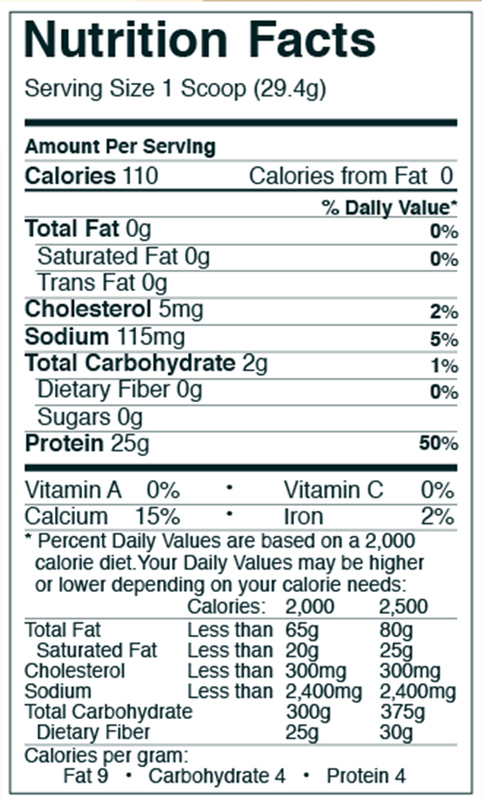 ALLERGEN INFORMATION: Contains Milk, Soy and Wheat. WHEN ARE THE BEST TIMES TO USE NATURALLY FLAVORED & SWEETENED R1 PROTEIN? Naturally Flavored & Sweetened R1 Protein is a fast acting protein and works well first thing in the morning and before or immediately after workouts to help effectively deliver the vital amino acids your muscles need for optimal performance. HOW MUCH NATURALLY FLAVORED & SWEETENED R1 PROTEIN SHOULD I TAKE? It really depends upon factors such as your physical size, what your diet consists of, how many total calories you consume, and your activity level. A common rule of thumb in the bodybuilding world is to aim for 1 gram of protein per pound of bodyweight per day. In other words, a 175 lb athlete should target 175 g of total protein from all dietary sources including protein powders and other supplements. Naturally Flavored & Sweetened R1 Protein is our flagship protein made exclusively with pure, fast-acting whey protein isolates and whey protein hydrolysates. Naturally Flavored & Sweetened R1 Protein contains no artificial flavors, artificial sweeteners, synthetic colors, fillers, creamers, or gums. When it comes to protein powders, they don't get much cleaner than this. R1 Whey Blend is also 100% whey protein, but contains a blend of whey protein concentrates, isolates and hydrolysates. The whey protein concentrates contain less protein and greater amounts of fat and carbs than isolates, but they are more cost effective. Whey protein concentrates also contribute to a richer flavor and creamier texture, making R1 Whey Blend is a great choice for athletes who prioritize taste when choosing a protein powder.